Shopping for a new luxury near Costa Mesa? Then you’re sure to love the new Acura MDX. With three rows of seating for up to seven passengers, the choice of five packages (or trim levels), and a low starting price, there’s something for everyone with this star SUV. Explore our 84 new Acura MDX SUVs for sale. When you’re ready, apply for financing online. Looking for a better price on a luxury SUV? Explore our new vehicle specials. Why Choose One of Our 84 New Acura MDXs for Sale? It’s no surprise that drivers from Tustin to Montclair love this SUV, but that’s not all. The Acura MDX reviews show that critics appreciate all that this SUV has to offer as well. In the performance department, the MDX runs on a standard 3.5L direct injection V6 engine with front-wheel drive or Super Handling All-Wheel Drive™ (SH-AWD), and the MDX can tow up to 5,000 pounds. The Technology Package and the Advance Package also have the option of a Sport Hybrid SH-AWD 3.0L port injected V6 engine. In the interior, you’ll ride comfortably in sport seats and enjoy your perfect temperature setting with the tri-zone automatic climate control with humidity control and air filtration. Stay connected with Bluetooth® and smartphone integration, and enjoy your music and podcasts and an eight- to 12-speaker sound system. Contact us to learn more about our 84 new Acura MDX SUVs for sale, or to set up your test drive! 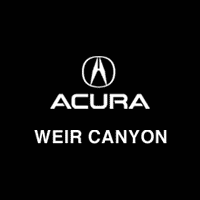 While you’re here be sure to ask about Acura MDX lease options and finance options.